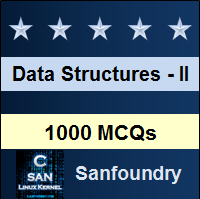 This set of Data Structures & Algorithms Multiple Choice Questions & Answers (MCQs) focuses on “GCD and LCM using Recursion – 2”. 1. Which of the following is an alias for LCM? Explanation: GCD (Greatest Common Divisor), GCF (Greatest Common Factor), HCF (Highest Common Factor) is not an alias for LCM while SCM means Smallest Common Multiple. 2. What is the LCM of 8 and 13? Explanation: 104 is the smallest positive integer that is divisible by both 8 and 12. 3. Which is the smallest number of 3 digits that is divisible by 2, 4, 8? Explanation: LCM of 2, 4, 8 is 8. So check for the number that is divisible by 8. So 104 is the smallest number that is divisible by 2, 4, 8. 4. Which of the following is also known as LCM? Explanation: Least Common Multiple is also known as LCM or Lowest Common Multiple. 5. What is the LCM of two coprime numbers? Explanation: Coprime numbers have GCD 1. While LCM of coprime numbers is the product of those two coprime numbers. 6. In terms of Venn Diagram, which of the following expression gives LCM (Given A ꓵ B ≠ Ø)? 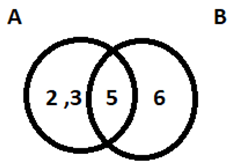 Explanation: In terms of Venn Diagram, the LCM is given by the Union of two sets. So A U B gives the LCM. While A ꓵ B gives the GCD. 7. What is the LCM according to the given Venn Diagram? Explanation: In terms of Venn Diagram, the LCM is given by the Union of two sets. So A U B gives the LCM. So product of all the terms is 180. 8. What is the lcm (a, b)? Explanation: Since the LCM function is commutative, so lcm (a, b) = lcm (b, a). 9. What is the LCM of 48, 18, 6? Explanation: The LCM of 48, 18, 6 is 144 and 122 is 144. 10. Is 9 and 28 coprime number. Explanation: Coprime numbers have GCD 1 and LCM is the product of the two given terms. So 9 and 28 are coprime numbers. 11. What is the following expression, lcm (a, lcm (b, c) equal to? Explanation: Since LCM function follows associativity, hence lcm (a, lcm (b, c) is equal to lcm (lcm (a, b), c). 12. Is lcm an associative function. Explanation: The lcm function is an associative function as lcm (a, lcm (b, c) is equal to lcm (lcm (a, b), c). 13. Which is the correct term of the given relation, lcm (a, b) * gcd (a, b) =? Explanation: The lcm is closely related to gcd as lcm (a, b) * gcd (a, b) = |a*b|. 14. What is the following expression, lcm (a, gcd (a, b)) equal to? Explanation: Since the lcm function follows absorption laws so lcm (a, gcd (a, b)) equal to a. 15. Which algorithm is the most efficient numerical algorithm to obtain lcm? Explanation: The most efficient way of calculating the lcm of a given number is using Euclid’s algorithm which computes the lcm in much lesser time compared to other algorithms.